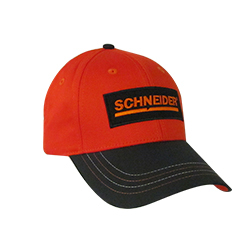 Orange Twill and Black Microfiber Visor Cap. Structured Pro Style. Hook and Loop Closure.